The desert contains some of the most exciting and diverse plant life on the planet. Think about how much sun and how little water the desert gets. Cacti and other plants known as succulents dot the harsh landscape. Bermuda grass, like that used on golf courses, survives the best in these conditions. While you’ll need to water your lawn, you won’t have to tend to the succulents; they have been thriving here in these conditions for thousands of years. If you don’t want to mess with watering grass, using rock as a substitute for grass is a great alternative. If you live in a state like Florida where a majority of the land is below sea level, you can appreciate how important it is to have enough landscape design elements to soak up large amounts water. There are times when the Sunshine State is in desperate need of some wet relief, and other times where it doesn’t seem to end. Plants and grasses here need to be able to withstand both water extremes and the hot, humid conditions that plague the state ten months out of the year. In northern Florida, the temperature in the winter can also dip pretty low, so if you live there, you need cold-hearty plants as well. 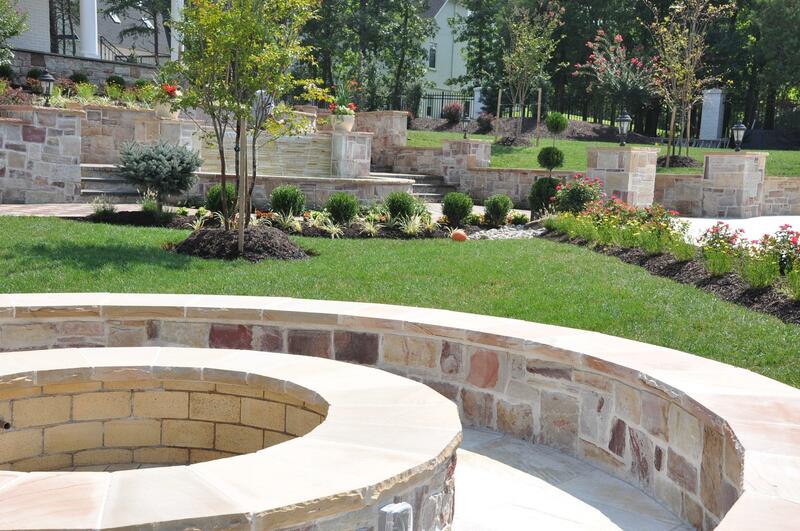 Regardless of where you live and your particular landscape needs, a professional company will be able to help develop and maintain the perfect landscape design. It is always best to ask someone who knows versus wasting money on plants that aren’t right for your yard.